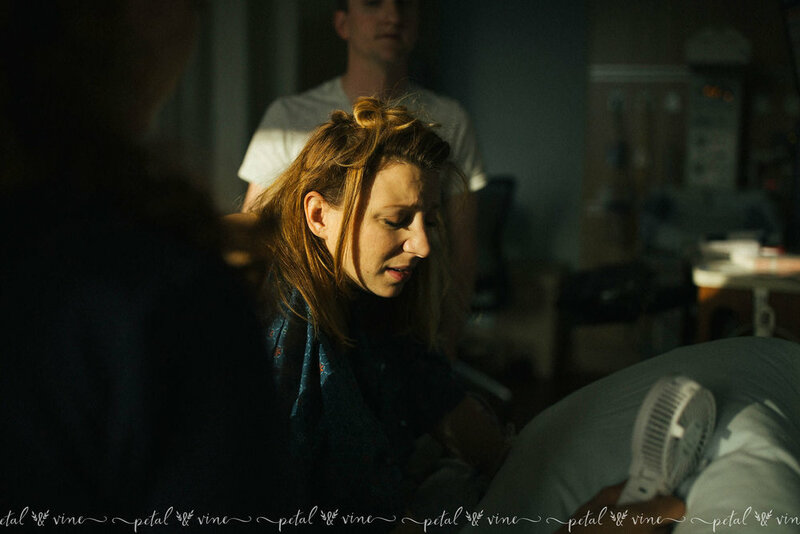 This is the Birth Story for the Reed Family, some of the awesome Whole Story Clients that I was blessed to work with in 2018. 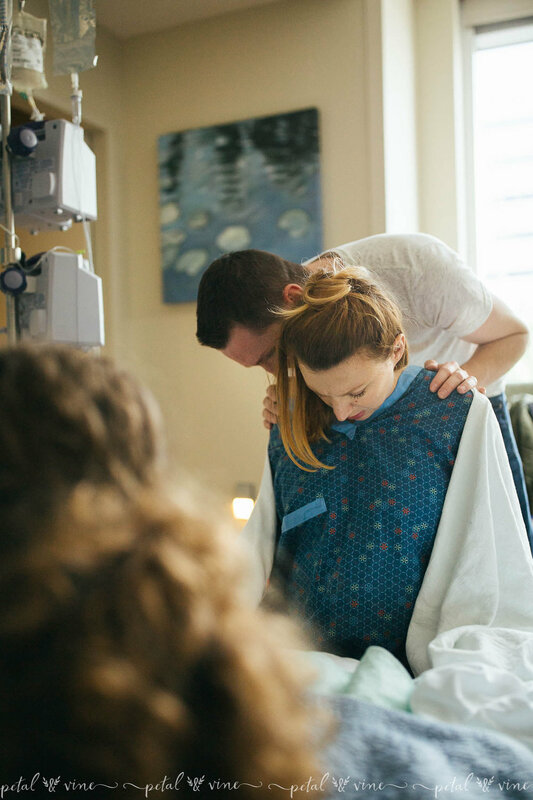 Fair warning, these birth photos just might make you cry. 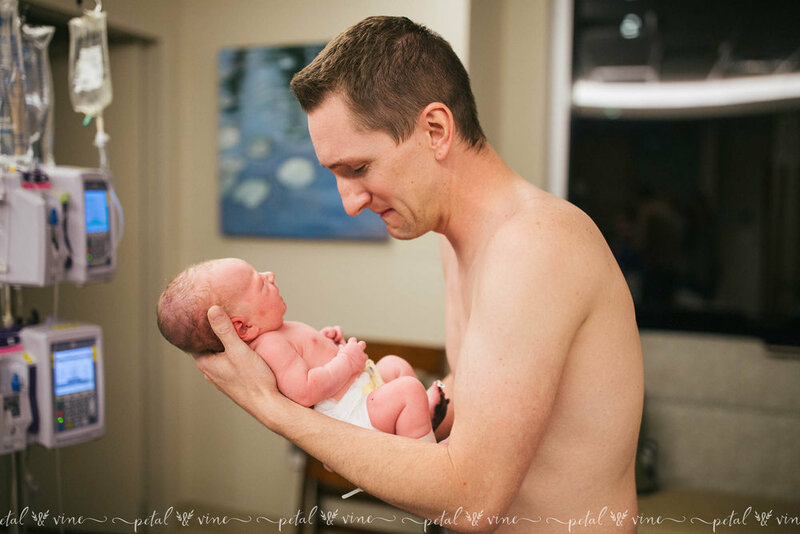 I cried photographing the birth, editing the gallery, delivering them, and now as I add them to the blog and go through them again, I’m crying! All of the emotions. The birth: From the minute I arrived to the minute I left the birth, Brandon & Katie were a united front. Katie labored like a champion. I was in awe of her perseverance through each contraction. She’s a boss. Papa Brandon was praying and encouraging his wife every minute. Brandon brought journals filled with letters and verses about his and Katie’s story together. He read them during some of the earlier contractions. Since their fur-baby couldn’t be with them, he surprised Katie with a look-a-like of Ruby in the hospital room (hence the plush pup you see in a few photos). 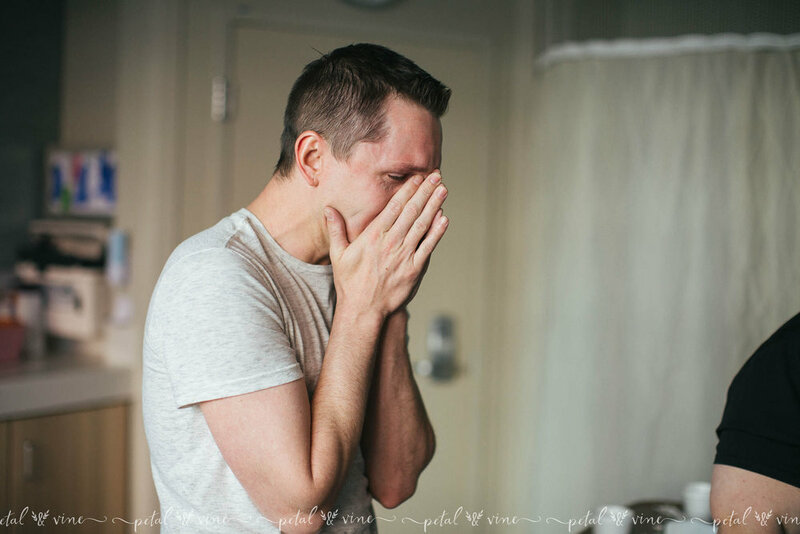 After baby arrived, Katie gifted her hubby with a watch- the same brand that she gifted him with on their wedding day. I can’t even…basically we were all sobbing messes at this point. With the extra love and support of their amazing Doula, Ashley, this family invited their first son earth-side. I think the photos will tell you just how excited they were, and how emotional and joyful welcoming Baby Cooper into the world was. 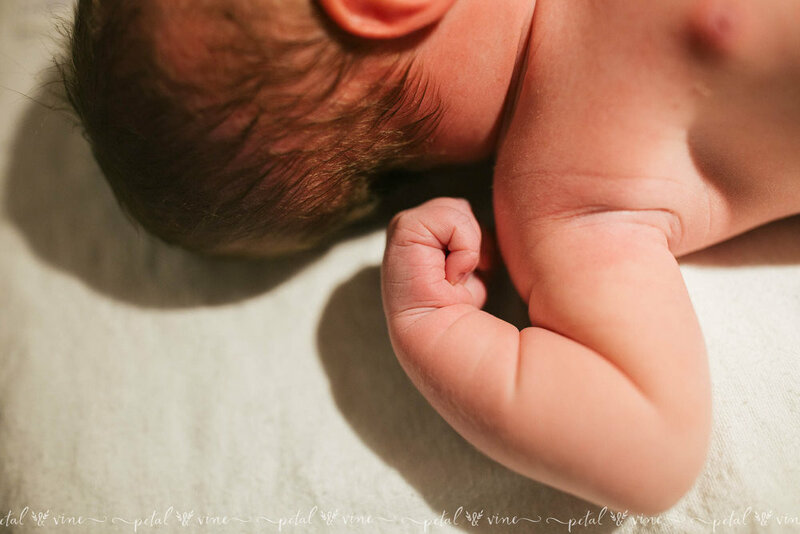 For more birth stories and if you are interested in learning more about the packages we offer, in areas such as, but not limited to, Lakeland, Lake Wales, Orlando, Tampa… and more, feel free to contact us. Make sure to follow our Facebook Page for updates and Subscribe to be the first to hear about specials throughout the year. Winter Haven Newborn Photographer: Baby Emma Sweet baby Emma's mama is a dear friend and I was so glad I got to photograph her. How absolutely precious is she? If you’re interested in booking a Tampa Newborn photographer.. or surrounding areas such as Winter Haven, St Petersburg, Dunedin, Plant City. Auburndale, Celebration, Orlando, Winter Park... and more, please take a moment to contact me. If you’re interested in booking a Lakeland or Tampa birth photographer.. or surrounding areas such as St Petersburg, Dunedin, Plant City. Auburndale, Celebration, Orlando, Winter Park... and more, please take a moment to contact me.